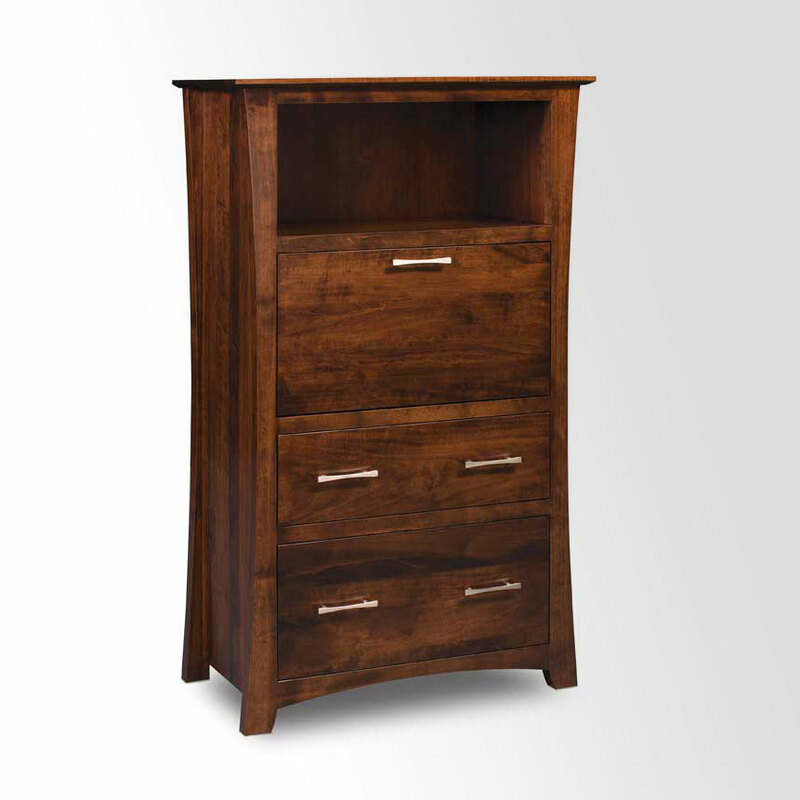 Custom Wood Furniture Design: Have it made your way. When it comes to custom furniture in Northern Virginia, almost anything is possible with our Custom Furniture Design Service! 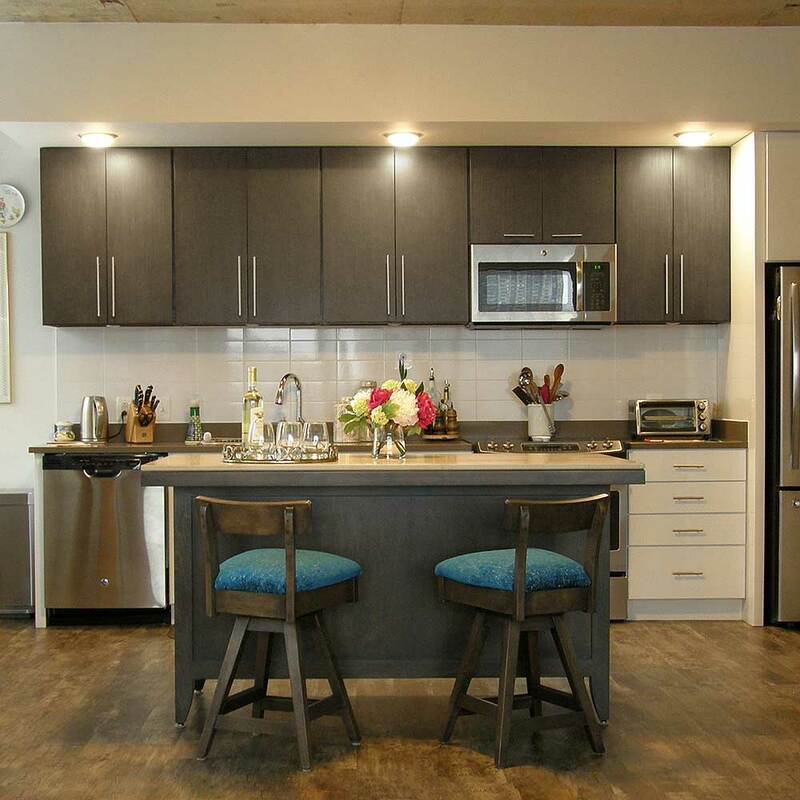 We specialize in providing small-scale, custom furniture to accommodate the limited space available in most Northern Virginia and DC area condos and townhomes. 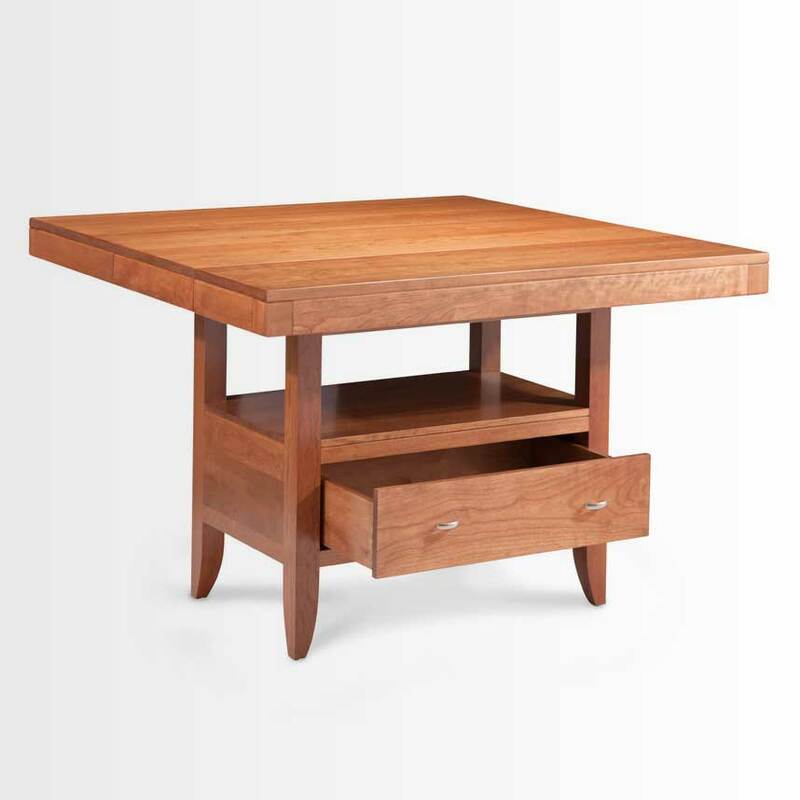 What sets our service apart is that by partnering with smaller US makers, we can offer custom furniture at reasonable prices. 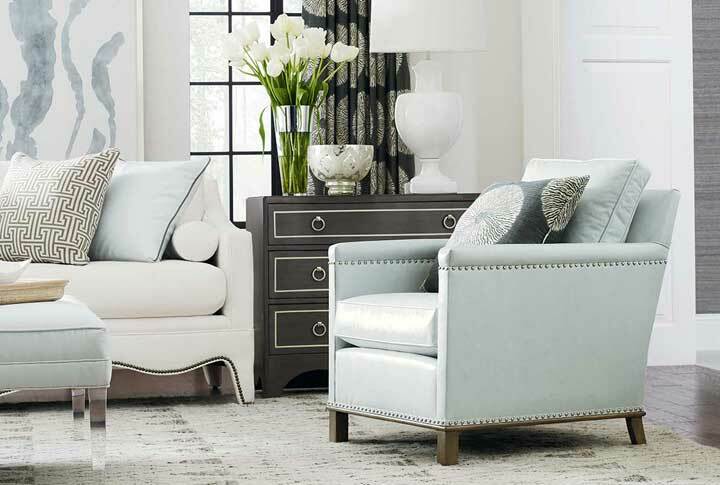 Because Creative Classics Furniture is located in Old Town Alexandria in Northern Virginia, we have first-hand knowledge that mass-produced “big box” furniture won’t fit in many of the houses in Arlington, Alexandria, and Washington, DC. 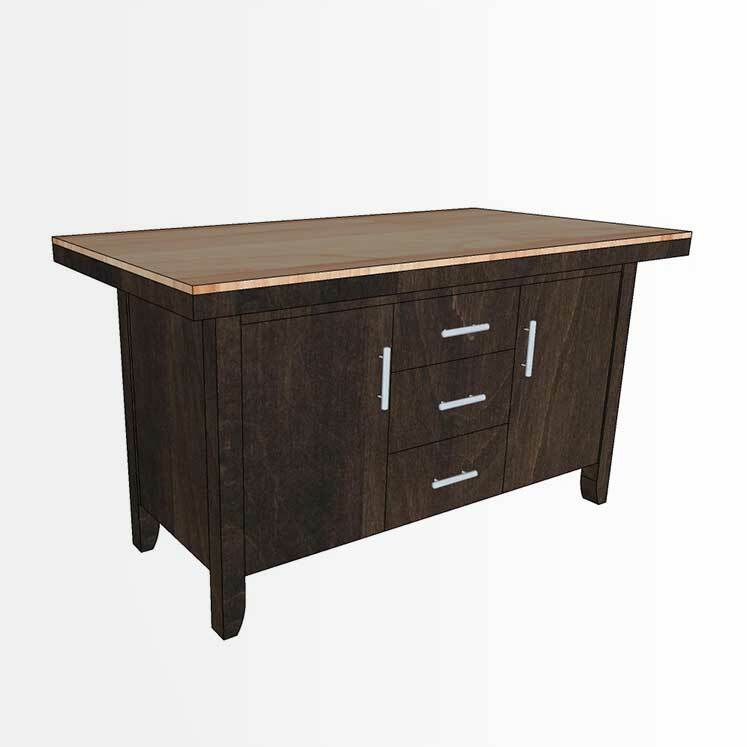 In addition to quality, what differentiates us from other stores is that our custom wood furniture makers can build items to exact specifications. 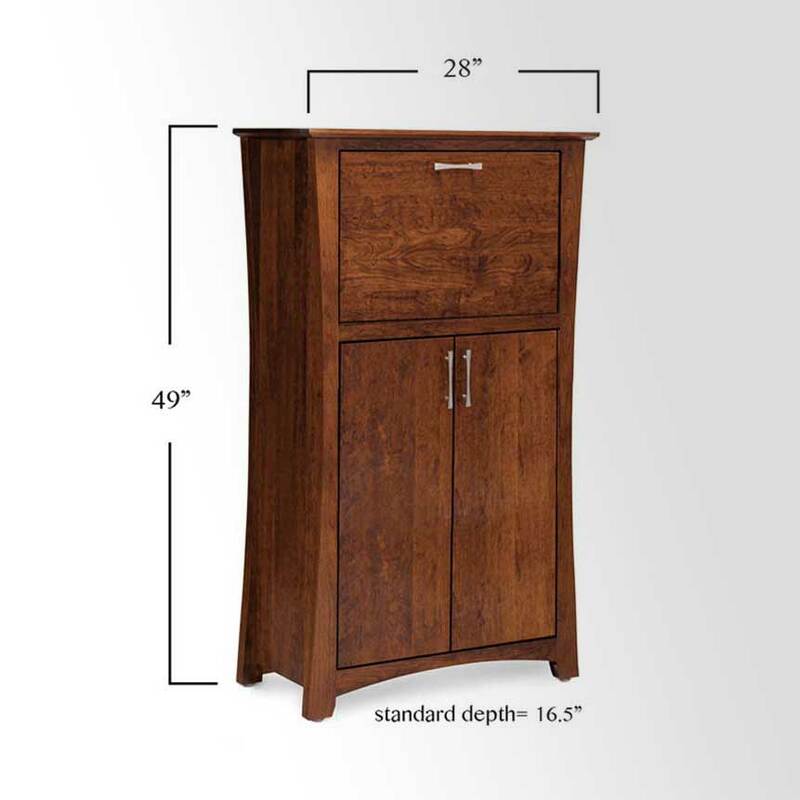 For example, our manufacturers can make a nightstand or dresser to be a few inches narrower than is standard to fit your space. This can be done for a small up-charge, usually $75 – $150. 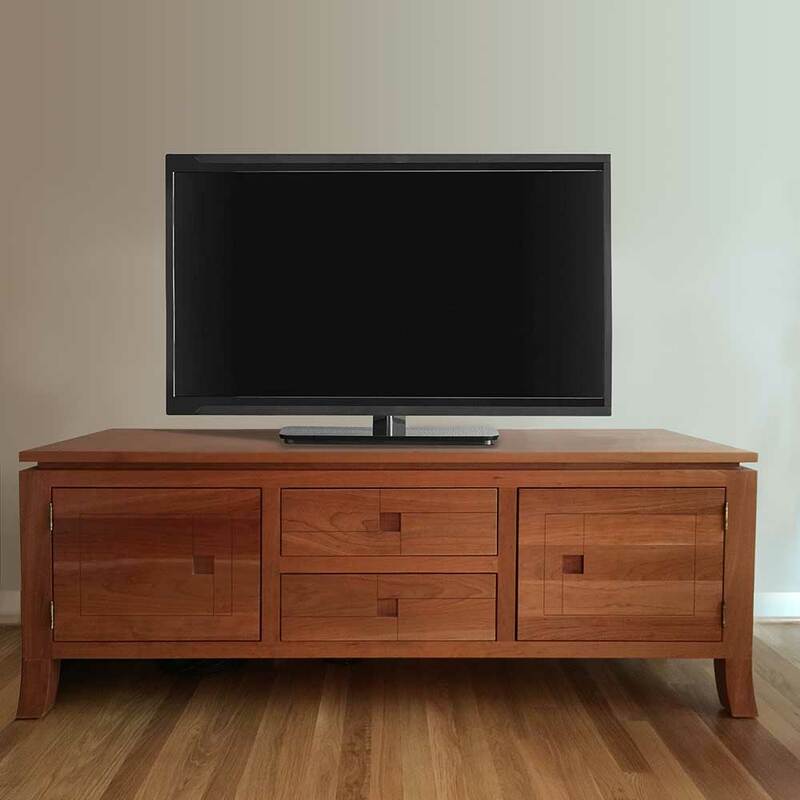 Our custom wood furniture makers can also completely change the configuration of a solid wood piece to fit your needs exactly! For high-quality custom furniture in Northern Virginia and Washington DC that is built just the way you need it at a price you can afford, reach out to our experienced team. We’re eager to get started on your next project! Come into our Alexandria, VA store and talk to us about what you need. 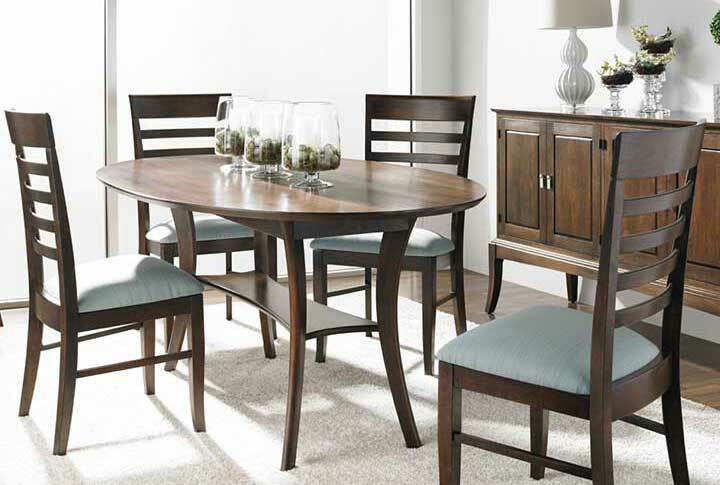 We can show you examples of various wood pieces that may work as a starting point in terms of style and quality. 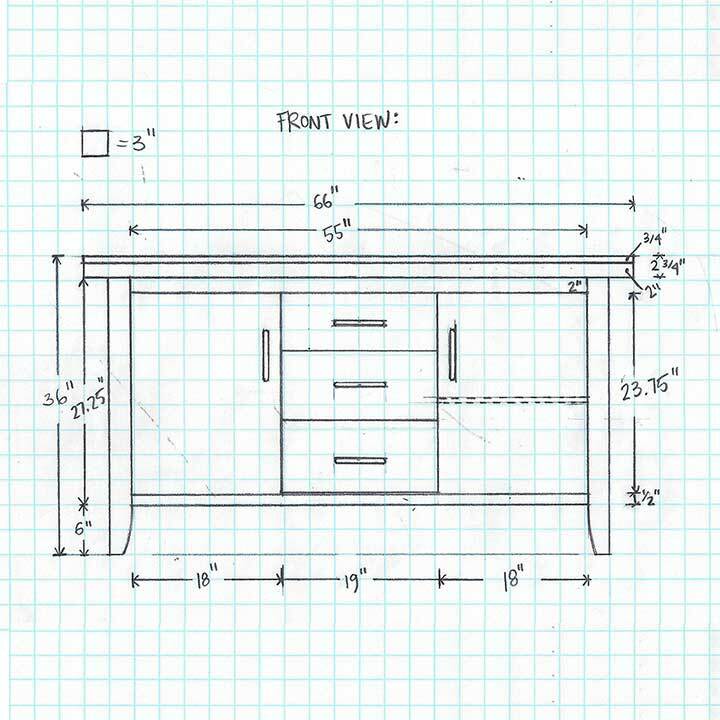 From there we take your custom dimensions and requirements and produce a drawing for the furniture maker illustrating the changes required. If you need help visualizing the end result, we can send you our drawings or a computer rendering to approve along with the price quote for the changes. Once you accept the quote, we have the item made just for you. Scroll down to view examples of cabinets we have customized. 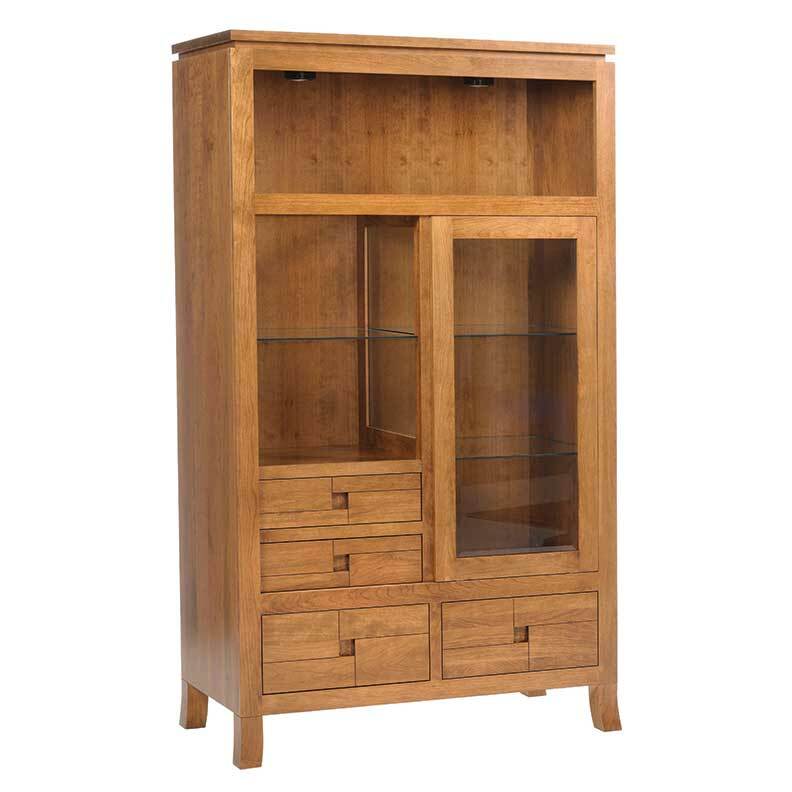 In our showroom, we had a solid cherry wood dining storage cabinet on display. 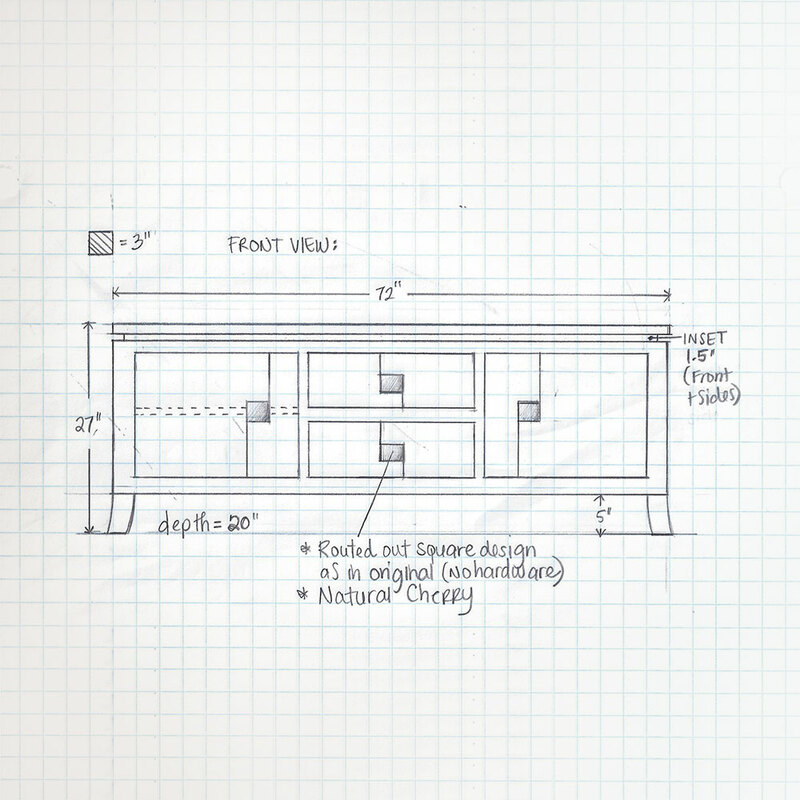 Our client loved the style but needed a TV credenza with a completely different configuration. Click photos to enlarge for better viewing. Original cabinet on display in our Alexandria, VA showroom. Our customer loved the quality and style and wanted something similar for a TV stand. 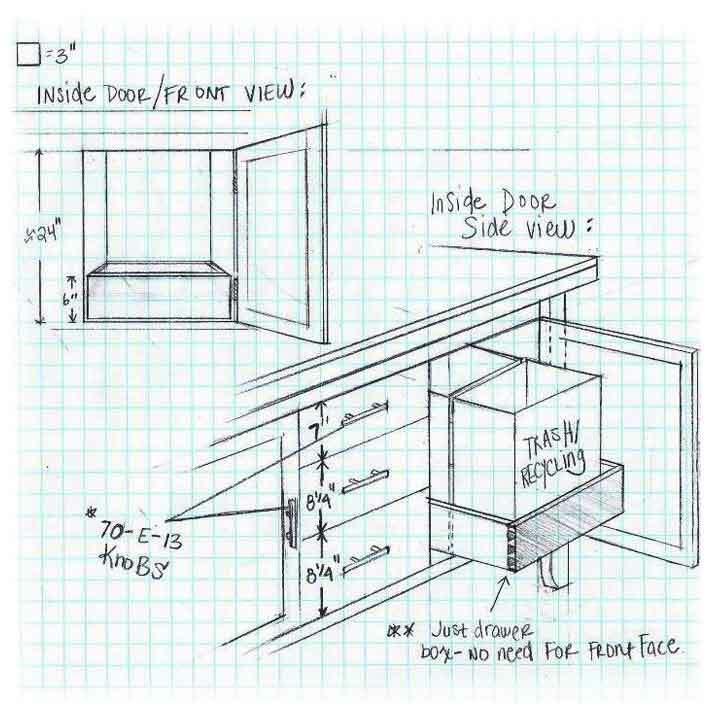 An initial hand rendering is created to finalize dimensions and configuration with client. 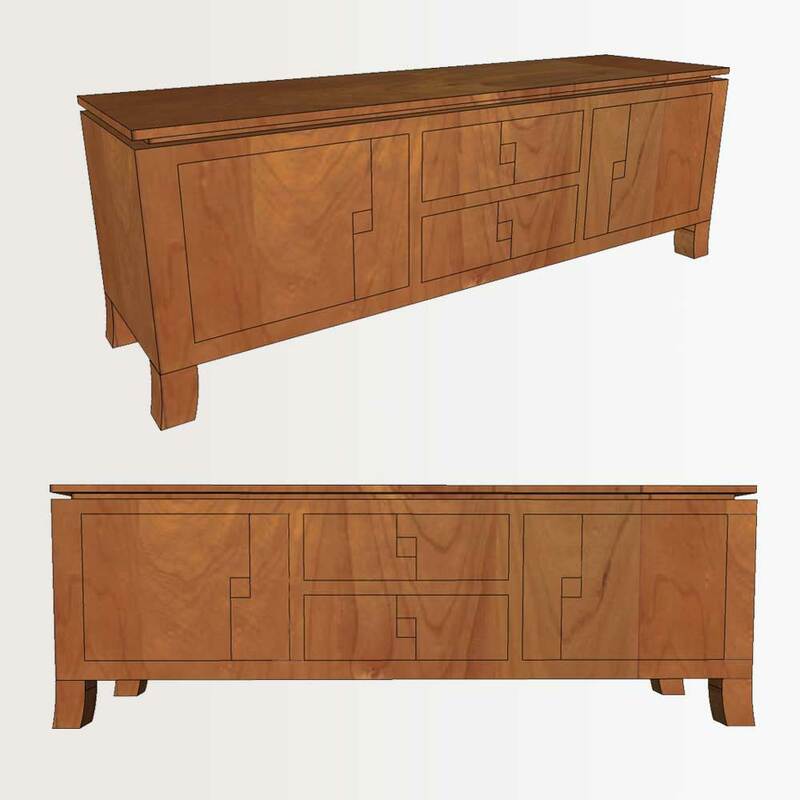 We also send the drawing to the manufacturer to receive an exact price quote for the furniture. After the client has placed the order, a computer rendering can be provided to assist with visualization of the final product. 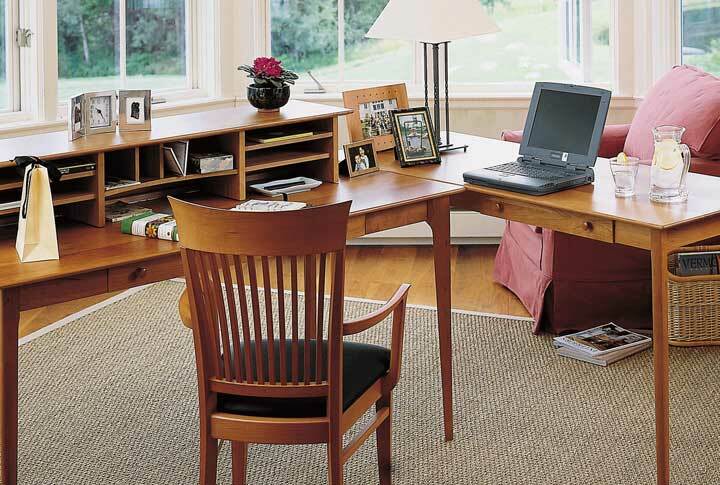 Another cabinet that we have customized numerous ways is an “all-in-one” laptop desk. In fact, based on our frequent requests for an integrated file drawer, the manufacturer added the custom configuration (shown in photo to the right) to their standard catalog options. We have produced many variations on this cabinet for our clients. This solid wood laptop desk on display at Creative Classics Furniture in Alexandria, VA needed just a few alterations to suit our customer’s needs. A hand rendering is created to finalize dimensions and configuration with client. 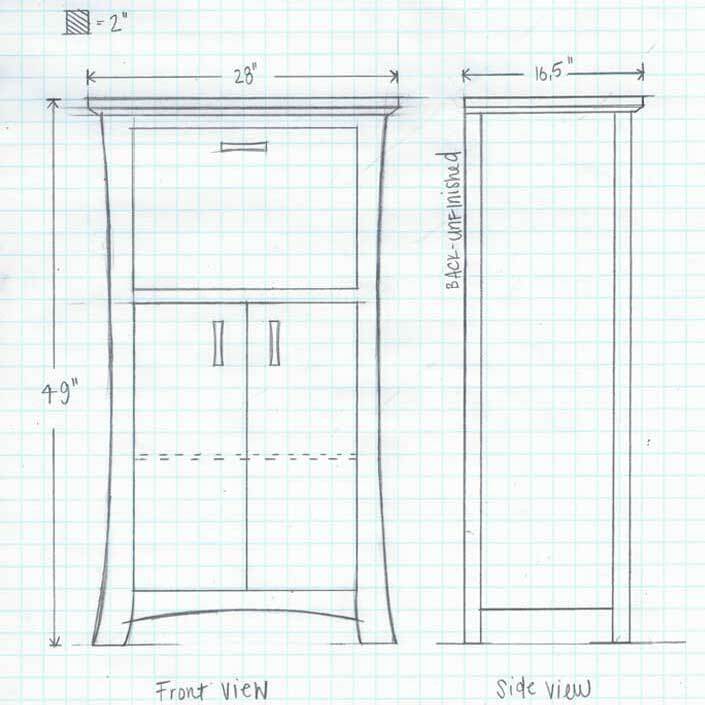 The drawing is sent to the manufacturer to receive an exact price quote for the furniture. Computer rendering of final concept. A frequent customer that loves the quality of our furniture recently remodeled a kitchen. 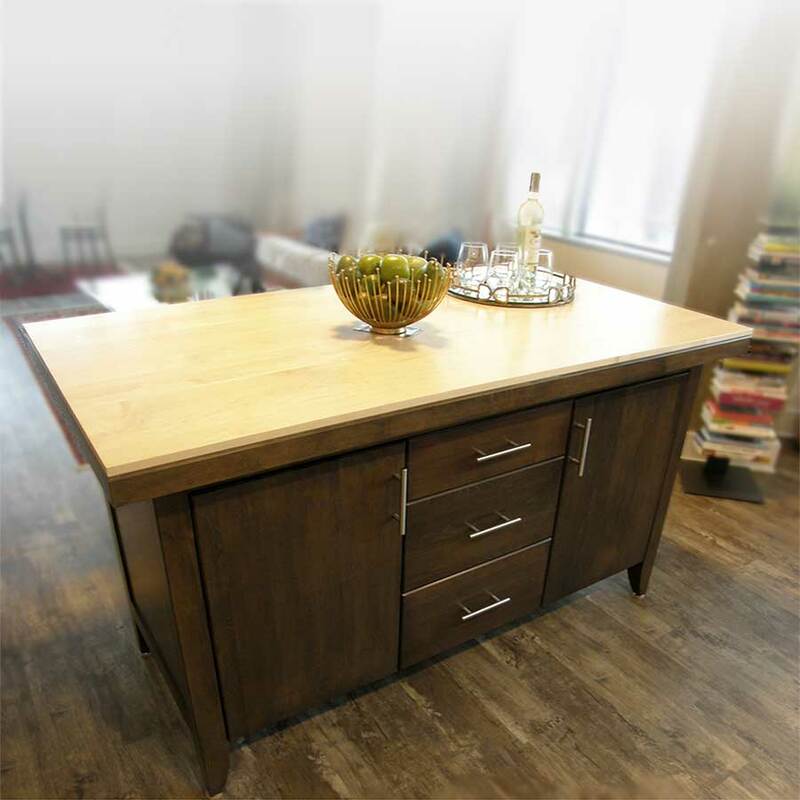 Their contractor was unable to create an island counter with the seating and function desired at a price they wanted to pay. We found a stain to match the cabinets and had our makers create a custom island. It blended perfectly with the new kitchen and their pocket book. Scroll down for more photos. Click to enlarge for better viewing. 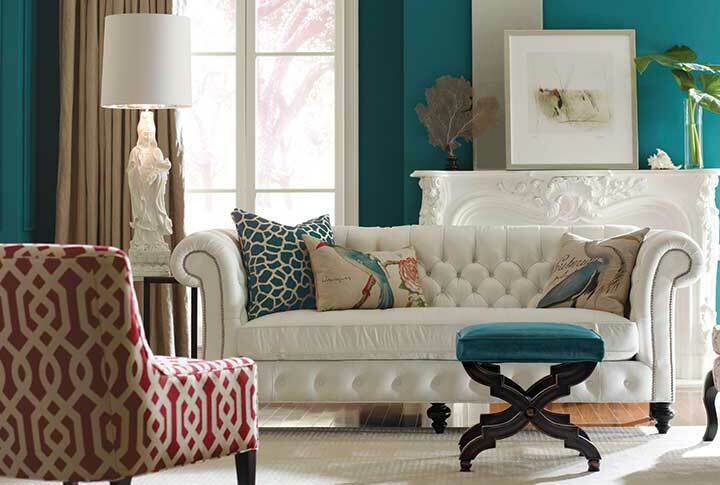 A catalog photograph from one of our manufacturers served as inspiration for the island. 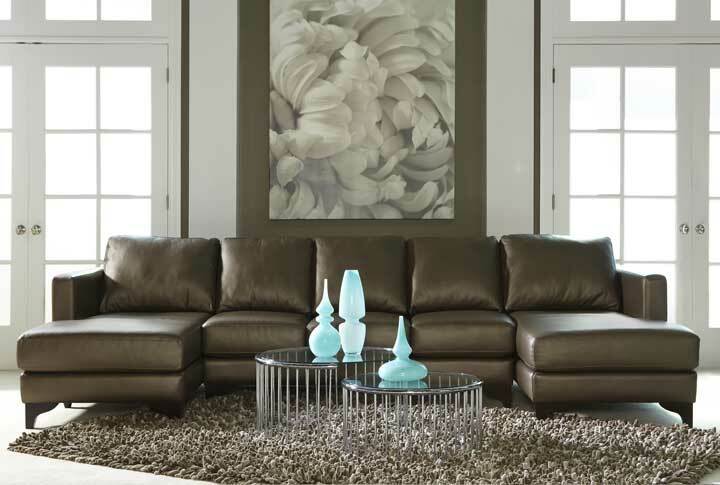 A drawing is sent to the manufacturer for an exact price quote for the furniture. With the island table, the customer wanted to store specific items in the cabinet. We created a hand rendering of the interior specifications was and sent to the manufacturer as well. After the client has placed the order, a computer rendering can be provided. The rendering assists with visualization of the final product. With this island table the client wanted a Natural Maple top with a base stained to match the cabinets. Photo of the completed, custom solid wood island table. Photo of island table delivered in customer’s home. Also pictured are the counter stools that were customized with a swivel base vs. the standard stationary legs.